Web Developer Toolbar for Firefox 1.1.6 is a Firefox extension that web developers can use as a security testing tool to discover security flaws on a website. Web Developer Toolbar was created by Chris Pederick who also created User Agent Switcher. 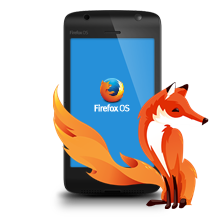 It won the grand prize of the Extend Firefox contest organized by Mozilla in 2006. Many Firefox developers have recommended this extension for web developers. When downloading the plugin, make sure the Firefox browser is already launched. You can get detailed information on the cookies so that you can determine the information that the user see and the things that the user can do. you can use the form menus to analyze the efficiency of the form. It enables you to test the length of information that can be entered into the firm fields before it crashes. Fixes a few bug problems such as clear all private data, view document outline, keyboard shortcuts errors as well as display anchors that point to faulty links.